During the Winter months most of us tend to stay inside more and get less fresh air. All the central heating and being cooped up isn’t good for us making us feel sluggish and lethargic. Think about the last time you went out for a walk in the cold, fresh air. Providing you had enough layers on and were wrapped up warm I’m willing to bet that you felt exhilarated, and more awake and alive due to the fresh air. As a result an ideal place for Winter breaks and getting out in to the fresh air is the Cotswold’s. We often visit the Cotswold’s during the Autumn and Winter months. As a result this blog will share with you our favourite Cotswold haunts and hopefully inspire you to enjoy this beautiful part of the country. 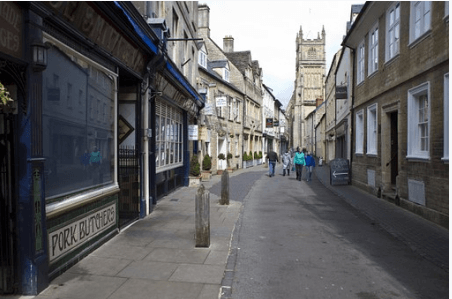 Visit Cirencester, known as the capital of the Cotswold’s. It was a very important place in Roman times and lies at the crossroads of three Roman roads. Cirencester in Roman times was second only to London. Today you will find a lovely centre should you want to shop, or browse. It also has a beautiful park that you may wish to take a stroll through. If you visit Tewkesbury you will not be disappointed. Tewkesbury has a unique character and it is one of the only places in this area that you will see black and white half-timbered buildings. In Tewkesbury alone there are more than 400 listed buildings. Visitors can also enjoy the river and the Abbey. 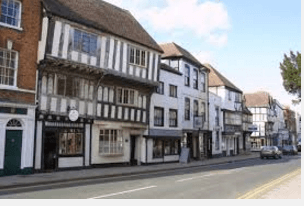 You will be able to explore a wonderful medieval town, enjoying the look of the half-timbered buildings, the overhanging second floors and the narrow alleyways. When in Tewkesbury today you can enjoy the medieval streets and a lovely riverside setting. You can rest assured that it has something to offer everyone, there is great shopping with a good range of independent shops, great local food and the river. If you want to walk in the fresh air then the river offers your perfect setting. Or, if you’re feeling a little less energetic maybe you should take a relaxing cruise and watch the world go by. 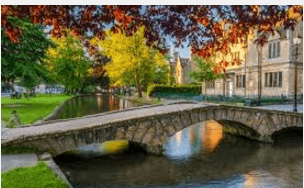 First of all, Bourton on the Water is definitely a must see for anyone who is travelling to the Cotswolds. This popular village is known as the ‘Venice of the Cotswolds’ this is because of the pretty little bridges that cross the river there. The river runs right through the centre of the village. It is a most charmimg village. 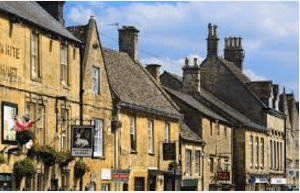 Broadway is a famous village in the Cotswolds and is popular with visitors all year round. We love to visit in November/December time most of all, as it has a really Christmassy feel. The main street in Broadway is very wide and you will find independent shops, restaurants, antique shops and also lovely cosy pubs. 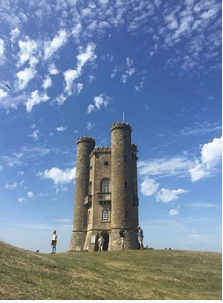 If you want to walk when you visit Broadway we would recommend that you walk to Broadway Tower. It is the second highest point in the Cotswolds and definitely worth a visit. Since it is at 312 metres above sea level. 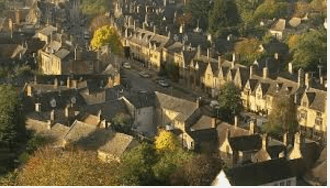 Chipping Camden is often described as the ‘jewel in the crown’ of the Cotswold towns. It is one of the best preserved and most historically important towns. The chipping in Chipping Camden refers to the market, the market hall here was built in 1627. 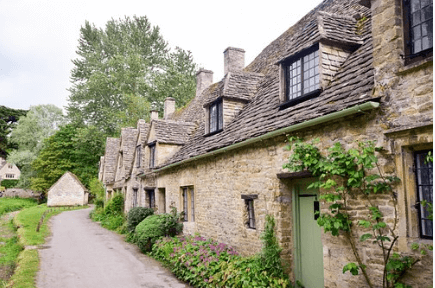 The scenery around this town is stunning and there are wonderful walks, which include the Cotswold Way which is 104 miles long. It starts in Chipping Camden and continues all the way to Bath. Moreton in Marsh is in the stunning Evenlode Valley. It is a thriving market town dating back 1000 years to saxon times. The high street is broad and lined with buildings from the 17th and 18th century. There are some attractions nearby that can be reached by footpath if you wish. They include Batsford Arboretum, Cotswold Falconry, Bourton House Garden and Sezincote Gardens.